The Family Book celebrates the love we feel for our families and all the different varieties they come in. 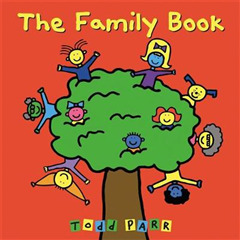 Whether you have two mothers or two dads, a big family or a small family, a clean family or a messy one, Todd Parr assures readers that no matter what kind of family you have, every family is special in its own unique way. Parr's message about the importance of embracing our differences is delivered in a playful way. 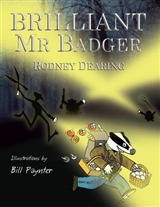 With his trademark bold, bright colours and silly scenes, this book will encourage children to ask questions about their own families.